Argentina sent Boeing KC-130H "Hercules" "TC-69" for transport. 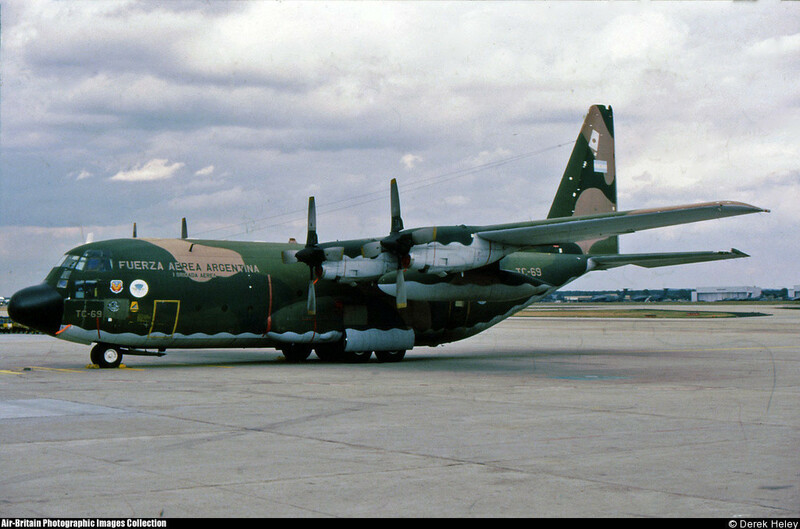 This KC-130H Hercules was configured as a freighter, so all the refuelling equipment was removed. The airplane flew from El Palomar to Fujairah, UAE to deliver the SA-316B Alouette III helicopter "3-H-109" as a replacement for "3-H-112" which crashed into the sea after turbine failure. Then the Hercules flew 125 more missions, mostly at night (adding the "Batman" logo for that) and flew back to El Palomar at 14/03/1991.